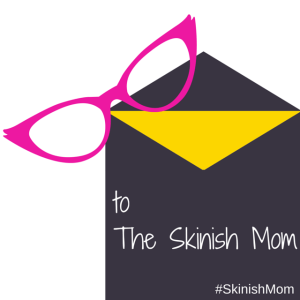 Posted byMei 27 March, 2015 16 March, 2015 4 Comments on Ask #SkinishMom – Why Can’t the Doc Just Give Me the Allergy Test? My kid has eczema and we haven’t figured out what is the trigger. I’ve been asking the doc about taking an allergy test but the doctor either say that my kid’s eczema is only at a certain area, so no testing is needed or say that it’s those common allergens that affect almost every child, so again no testing is needed. But there’s no CONCRETE EVIDENCE of WHAT’S TRIGGERING MY CHILD’S ECZEMA – why can’t the doc just give me the test? I totally understand, many moms feedback the same and many docs replied the same. The short reply is if taking an allergy test is on your mind 24/7, just demand it. If the dermatologist that you’re seeing refuses to prescribe one, go to another doctor. After all, eczema is a long-term situation that requires much working and communication with your doc; if you can’t even agree on something as basic as whether or not to allergy test, it’s unlikely that this is a doctor that you can work with. You’re tearing your hair out figuring out the triggers, you need an allergy test to get some answers. You’re growing day by day fearful of applying corticosteroid cream on your child, figuring out the trigger means less flare-ups and less need for the steroid. You’re breastfeeding still and you seriously are going nuts on what you can or cannot eat. Your child’s eczema is localized, say on the face, thus likely due to saliva or food residue irritating the child’s skin. Allergy testing is unlikely to be accurate for a baby (less than 6 months) and therefore, testing and working on the inaccurate results may turn out to be even more confusing for the parents. It is true that most of the children are affected by the common allergens of cow’s milk, egg, soy, wheat, seafood, dust mite, pet dander and pollen. Younger children are more affected by food while older children are commonly affected by dust mite. It is therefore a waste of money to be testing for something when you’d already know the test results. Go for allergy testing, even if it’s going to turn out results you’d expect (so you know for sure). Many doctors in Indonesia are also not supportive of allergy testing. They encouraged me to do elimination diet since I’m exclusively breastfeeding, but I’ve done so for 2 months and my baby’s eczema is still there. I am also frustrated trying to find soap, shampoo and moisturizer that will not irritate his skin (contact dermatitis). Baby is 6 months now. Do you think for my situation, it’s better to do skin prick test or blood test? I have avoided all common food triggers and have also tried to reduce dust mites in the house, but my baby’s eczema is still persistent. Sorry to hear of the stress figuring the trigger foods.. it’s not easy even observing what foods fed to the baby that trigger eczema (and it may not even be food! ), much less to figure out what foods you are taking. At least have the basic items tested in skin prick to have a starting point to figure out the allergies.. remember not to take anti-histamine before the skin prick test, and baby should have clear patch of skin for testing. I agree. 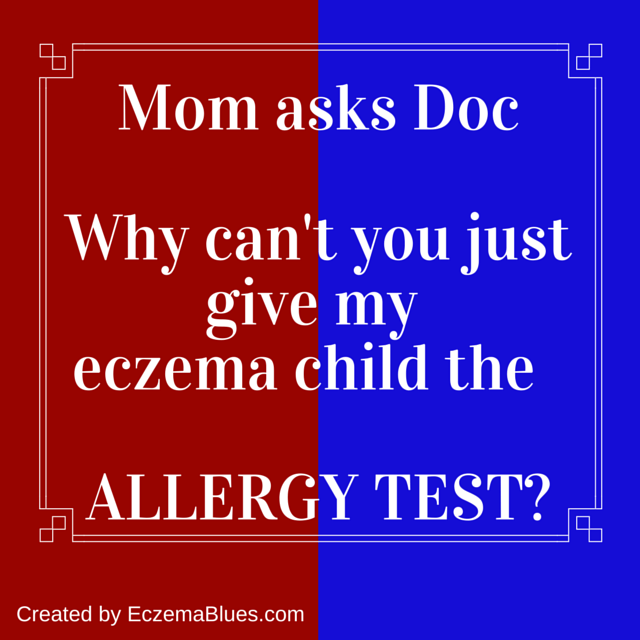 If you as the parent feel the need for allergy testing, just be persistent. Sometimes the allergy tests show things that are SO helpful. Thanks Kim for dropping by my blog! Yes, many parents feel confused when doctors are not supportive, especially if they don’t have time to explain why also!